Did you know its easy to recycle old, worn out or torn flags? 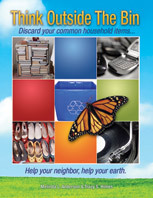 Take them to your local American Legion Post or look for drop-off bins like this one at your local grocery store. God Bless America…my home, sweet, home! 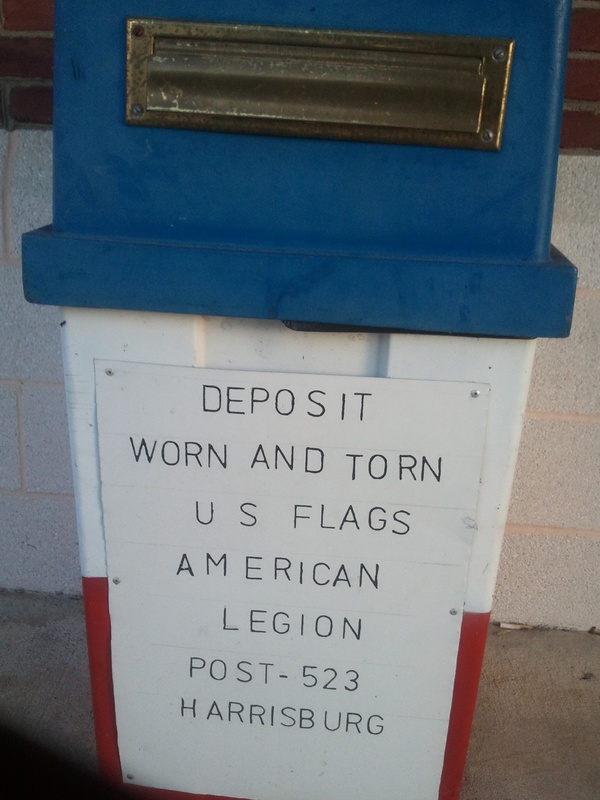 This entry was posted in Flags, Think Outside The Bin and tagged American Legion, postaday2011, proper disposal of flag, recycle flags, torn flags. Bookmark the permalink.